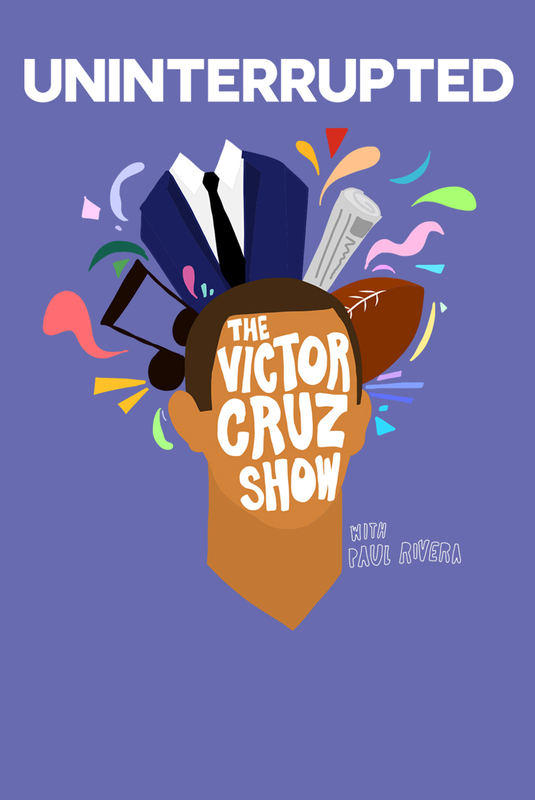 The Victor Cruz Show features Victor & PR, engaging in "barbershop talk" - discussing the latest in sports, music and fashion. Tune in to see which of their celebrity & athlete friends will join in the fun. "I'm In The Wrong Field"
Victor and PR are back from Israel and fill us in on their Dead Sea experience, PR's ability to keep up with Vic during workouts, Mayweather vs. McGregor and NFL contracts vs. NBA contracts. The guys also dive in on Colin Kaepernick's unemployed status and of course - JAY-Z's 4:44. Have the Giants Called Victor Cruz? Vic opens up on the plague of wide receiver injuries that have hit his former squad, the New York Giants and discusses if a possible reunion is in the works. Victor is prepping to get back to work and PR is on the move but that didn’t stop the two from sitting down to talk everything going on in the world. The guys come out hot by debuting a brand new segment called “Cut His Mic Off.” PR fills us in on plans for El Clasico in Miami while Vic absolutely goes IN on R. Kelly. Finally, Vic gets real with everyone and opens up on a recent fear about his career. Episode 4 of The Victor Cruz show features Vic & PR catching up on Victor's on field set back, examining fire he has been taking on social media, the specifics of his day-to-day rehab, the process of creating his new signature shoe with Nike and much more! Vic and PR welcome 2018 by recapping Wild Card weekend in the NFL and looking ahead at the next round of the playoffs. The guys scrap any resolutions talk in favor of covering the hottest topics around the National Football League including the reported Patriots' drama, Jon Gruden becoming a $100 million man and Eli Apple clapping back at the haters. Oh, and of course, Vic and PR have thoughts on the latest and greatest with the Kardashians of basketball - the Ball family. Victor and PR are back behind the mics with Vic explaining his decision to become a Chicago Bear, how it was coming to terms with leaving New York and of course some NBA Finals talk. Victor and PR talk training camp brawls, the US Open, Victor’s signature shoe and much more! Victor and PR are back and better than ever with a new place to call home. The guys talk about what Vic's been up to this offseason, what's ahead and much, much more. Join Victor and PR for a very special episode featuring an exclusive inside look into the Showtime Sports Documentary, I AM GIANT, featuring Victor Cruz debuting October 30th at 9pm only on Showtime. What’s Next for Victor Cruz? After parting ways with the Chicago Bears, Victor Cruz fills us in on what’s next for him in his NFL career. Vic and PR are then joined by UNINTERRUPTED CEO, Maverick Carter, who talks to the guys about his career, shows up everyone’s kicks by rocking a SICK pair of upcoming LeBron 15s and fills everyone in on “The Carter Effect” UNINTERRUPTED’s film premiering at the Toronto Film Festival about the cultural effect that Vince Carter had on the city of Toronto.